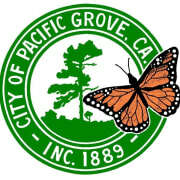 The City of Pacific Grove’s mission is to foster and preserve a sense of community, deliver city services and support economic and environmental vitality. Pacific Grove offers an unparalleled quality of life. Sharing borders with the Monterey Bay, City of Monterey, Pacific Ocean, and the Del Monte Forest, our town offers breathtaking views and recreational activities. The City provides services to the community including: a monarch butterfly habitat sanctuary; sandy beaches; the oldest continuously-operating lighthouse on the west coast; excellent emergency, fire, and ocean rescue services; the lowest crime rate of any city in Monterey County; an award-winning natural history museum; and a nationally-recognized 18-hole golf course. We are known for our small-town hospitality and friendliness in a place we simply call "P.G." Would you recommend The City of Pacific Grove?